Safety in the racing industry—it’ll never be a sure thing, but the Head and Neck Support device sure helped. 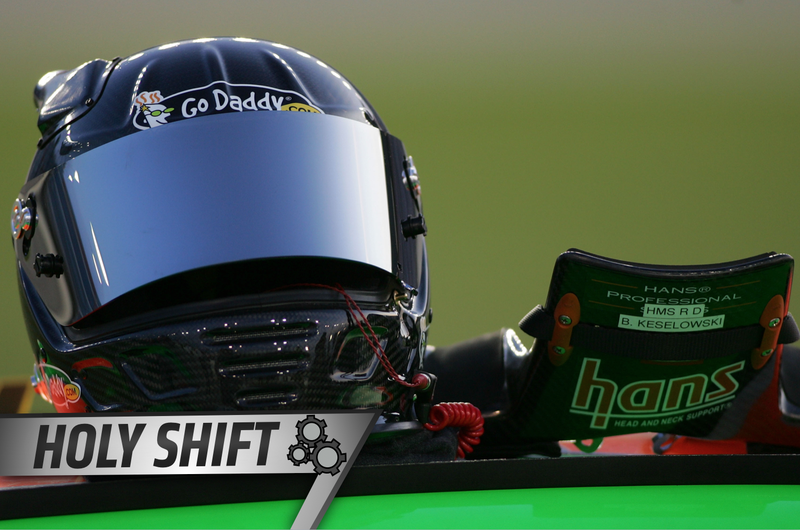 The HANS device is an essential part of any race-car driver’s equipment locker these days, but it actually came about long before the racing community widely accepted it. A racer by the name of Jim Downing dreamt up the safety device back in the 1980s, following a hard wreck of his own and the death of a friend. The friend, Patrick Jacquemart, suffered a basilar skull fracture in a wreck at Mid-Ohio Sports Car Course just one year after Downing’s wreck in 1980, and that’s when Downing went home and tried to figure out how to prevent that kind of thing from happening. Upon a conversation with Downing earlier this year, he described the mechanics of that basilar skull fracture to me in full. I’ll spare the details here, but it’s certainly one of those cringeworthy, fatal injuries that no one would want to experience—let alone hear about. The HANS essentially works like an airbag. But instead of inflating a cushion to arrest occupant motion in a collision, it uses a raised collar and two polyester-fabric tethers to secure the driver’s head. The driver’s shoulder belts hold the tall, stiff collar securely in place. The collar security is thanks to Downing’s brother-in-law, mechanical engineer Bob Hubbard, who teamed with him up to create the device. Downing brought the idea, Hubbard brought the handiwork. Once Hubbard completed the HANS, Downing made a few tweaks and put it in his race car—and on the market. But it took years to be a success. In its first 1o years, Downing told me that sales were at about 250. Yes, 250 total. In 10 years. And the minds behind the HANS weren’t making the slightest profit—they lost money on each device sold. It took a fatal crash on the big stage to wake the industry up to the HANS—the crash in 2001. When NASCAR Winston Cup Series (now Sprint Cup Series) driver Dale Earnhardt Sr. suffered that same basilar skull fracture in a crash at Daytona International Speedway, the racing community turned toward Downing and the HANS. Downing took orders the next week for 250 devices, which matched the amount he’d sold in 10 years prior to Earnhardt’s wreck. He had three devices on the shelf. Downing described the following year as pretty “hectic” with the newfound need for the HANS. Yeah, sounds like it. Nowadays, the HANS is pretty standard for anyone who races at high speeds. But that doesn’t mean it’s invincible. In October, NASCAR Camping World Truck Series driver Austin Theriault went to the hospital following a Las Vegas Motor Speedway crash. His HANS broke upon contact with an unprotected concrete wall at the track where IndyCar driver Dan Wheldon died in a 2011 wreck. While safety is never sure, a HANS is better than no HANS—and we have Downing to thank for that. As for Downing, he sold his company several years ago and continues to work in the safety industry—right now, he wants to improve safety in the lower levels of racing and in grassroots competition. Oh, and he’s still racing. At 73 years old midway through last year, Downing qualified on pole for the Prototype 1 class of the Sports Car Club of America Runoffs at Daytona International Speedway. He finished fourth in the race.